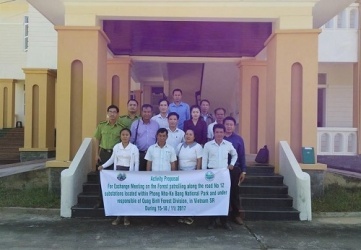 Mr Sy Som Phon Sut Thi Chac - Manager of Forest resource management Department of Khammouane province, that led the delegation to visit in Phong Nha – Ke Bang National Park in exchanging experiences on forest management and protection on November 17th 2017. 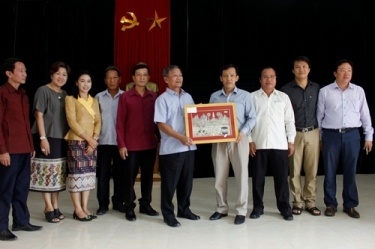 A delegation of Laos’s Khammouane Agriculture and Sylvicultyre Department, led by its director Bun Chan Xay Pan Nha, on August 3rd 2017 visited Phong Nha – Ke Bang National Park in exchanging experiences on forest management and protection. 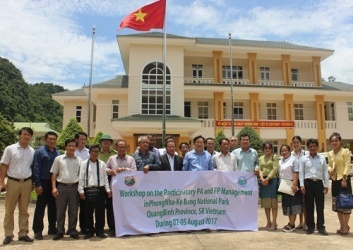 Phong Nha Ke Bang National Park, Viet Nam and Margaret River Tourism, Australia make a " Sister Caves"
It's not often two very different parts of the world are united under the same scenic attribute, but this was the case last Friday when Vietnam and Margaret River became officially linked under the world’s first Sister Caves Agreement. 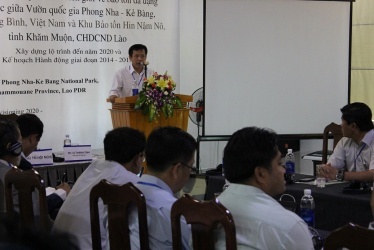 Phong Nha – Ke Bang National Park: Deploying phase III, the technical component GIZ. 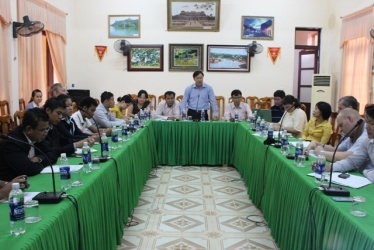 On June 25th and 26th , the management board of Phong Nha – Ke Bang National Park recently hosted a two-day Transboundary Cooperation Workshop between Phong Nha – Ke Bang National Park (Vietnam) and Hin Nam No (Laos). 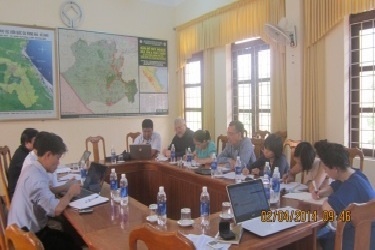 Phong Nha – Ke Bang National Park Management Board has a meeting with the delegation of Hin Nam No National Protected Area of Laos.